Rescheck service | $79 RESchecks & Manual Js. $79 Any Plan. Any State. Rescheck reports are just a simple step away. If you need to know how to Rescheck you have come to the right place. 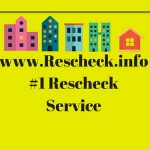 Rescheck.info offers the world’s top rescheck report. Free lifetime modiciation, free consultation, available 24 hours a day and 7 days per week.